At Computex 2016, AORUS displayed their full Lineup, adding the latest 17.3” X7 DT to the existing family: 13.9” X3 Plus v5, 15.6” X5S v5, 17.3” X7 Pro v5. AORUS also introduced their all-new exclusive AORUS RGB Fusion keyboard, a per-key fully customizable RGB laptop keyboard, along with their innovative design. AORUS also showcased its 2016 Limited Edition Multicam® camouflage design, which have received resoundingly positive feedback since the unveil back at CES 2016. The people have spoken and AORUS has answered. Receiving numerous requests to add RGB functionality, AORUS has taken that step with the RGB Fusion keyboard. After their per-key backlit keyboard was introduced at CES 2016 earlier this year, AORUS has made a breakthrough and introduced the new RGB per-key backlit keyboard that will be featured on the next generation of X5 and X7 models. The all-new AORUS RGB Fusion features per-key backlighting, delivering virtually unlimited customization. 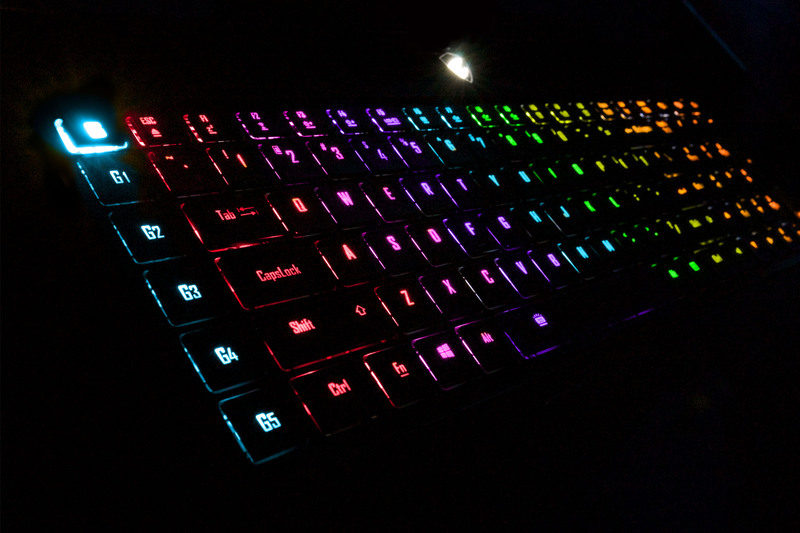 The RGB backlight provides 16.8 million color variations, and can be customized to light up only the required keys, or go a step further and setup animated illumination effects like breathing, waves, and ripples. Adding to the list, the AORUS Skylake lineup continues to garner awards with the 2016 Computex Design and Innovation Award for the AORUS X7 DT. The X7 DT being recognized for its innovative design; possessing superior performance with its 6th Generation Intel® Core™ i7 overclocked processor and true desktop GPU NVIDIA® GeForce® GTX 980, all within a thin and lightweight chassis (25.4mm/3.2kg). 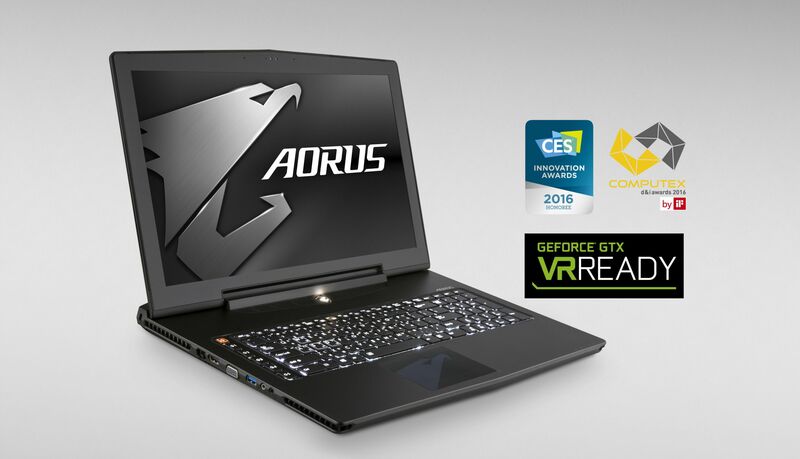 The AORUS X7 DT Claims the title of thinnest and lightest VR-Ready laptop in the world, and the only laptop recipient of the “Gaming & Virtual Reality” category of the 2016 CES Innovation Awards. The AORUS X7 DT has been recognized as the complete mobile VR solution, being VR certified and compatible right out of the box. With its superior performance, the X7 DT fully supports the latest VR releases. At Computex 2016 AORUS provided the latest VR demos fully powered and supported by the X7 DT. Inspired by an AORUS and military enthusiast’s creativity, AORUS turned idea into reality. The AORUS trademark style is one of simplicity: having a sleek yet subtle look, while retaining a sense of sophistication. 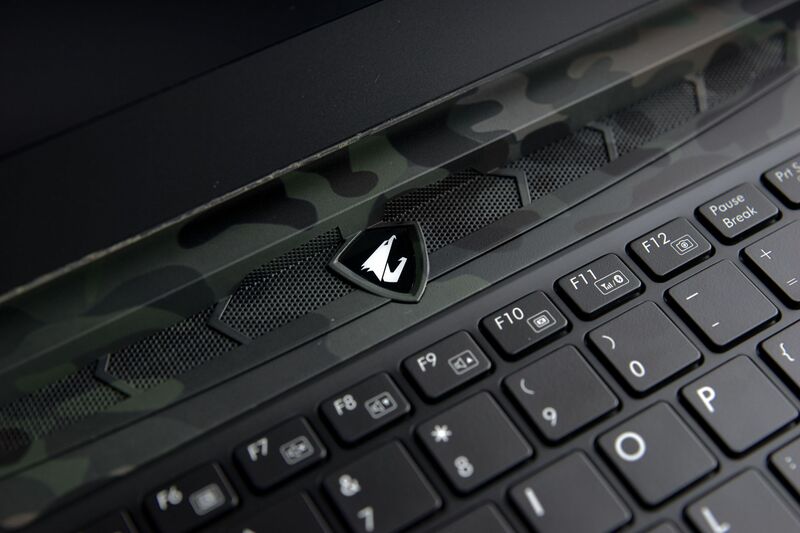 By combining this understated style and the classic world-famous MultiCam® camouflage, as a market 1st, AORUS has created a totally new, and unique style for AORUS gaming laptops. After an overwhelmingly positive response from fans and numerous requests for additional AORUS models to be included, AORUS has made the Limited Edition Camouflage design available worldwide on the AORUS X3, X5, and X7 models. The AORUS Hardware Live Stream Engine gives gamers and edge while streaming. Now available on the X5 and X7 models, the fully integrated encoder card eliminates the fuss of connecting an extra compressor and enables you to record and stream simultaneously in high-definition quality without compromising system performance, or the loss of FPS. Along with the 1-year Premium subscription to both XSplit Gamecaster and Broadcaster, allowing you to record, edit, and stream anytime, anywhere.